For anyone with a serious interest in Israeli politics, THE GATEKEEPERS is a godsend of a documentary. Even those with only a vague understanding of the State of Israel will find this film to be a revealing guide to some of the most significant moments in its history. Despite being known and accessible to the public, the surviving leaders of Israel’s central intelligence agency, the Shin Bet, have never given any interviews about their time as leaders. Novice filmmaker, and newly-minted Academy Award nominee, Dror Moreh somehow not only managed to get all six of these men to sit down with him to talk, but he also got them to be deeply candid about the thinking behind some of the most controversial tactical decisions they ever made while defending their home. You won’t want to miss what they’ve been keeping behind these gates either. 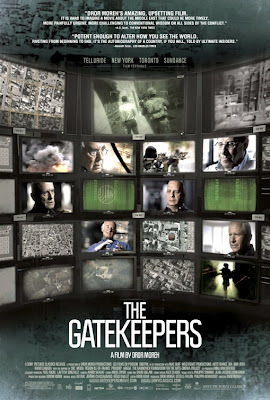 THE GATEKEEPERS is mostly a talking head piece, in Hebrew with subtitles, with some crafty computer animation to keep things interesting. 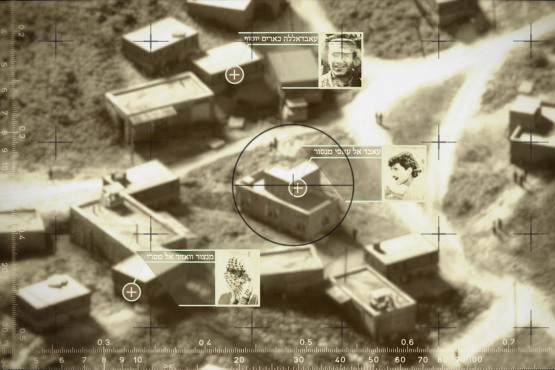 Little by little, the history of the Shin Bet is retold from their emergence after the Six Day War in 1967, through their highly criticized decision to kill two Arab hijackers in the 300 bus incident after they had already been captured, and concluding with the 1996 assassination of then Hamas leader, Yahya Ayyash, which successfully eliminated a major threat but that also resulted in the deaths of a number of innocents. While they are very diplomatic about their failings, they never brag about their successes either. What is perhaps most disturbing though is that they speak so plainly about all of it. They do not question any moral implication at any time as they recount their tales and when Moreh pushes them on it, which he does when he seems entirely baffled that it was never even a consideration, they wave it away as if it has no place in the equation. Aside from Moreh’s occasional indignant interruption though, THE GATEKEEPERS is an entirely one-sided affair. These Shin Bet leaders all seem extremely forthcoming with their revelations and willingness to share, but their perspective is the only one Moreh ever gives us. In that sense, even though it is not really meant to be a historical overview of the Israeli political climate over the last 45 years, it does follow that path and structure. With only the Shin Bet’s take on all these events, somewhere along the way, it becomes important to remember just who is giving us this tour. And perhaps this is paranoia, which is reasonably called for when talking about intelligence agencies, but I can’t help but wonder why the Shin Bet ever decided to invite us in to begin with when they never have before.